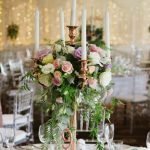 Vintage is completely in style and if you’ve got a little vintage in your theme, why not set the scene of your wedding by walking down your unique aisle to a Golden Oldie? It’ll take Granny and Grandpa back to a time when they had a spring in their step and they’ll forget all about the customary church ceremony! Kill two birds with one stone. Not literally. We love birds. Now back to songs. ‘Somewhere Over the Rainbow’ will take you back to the land of Oz but when you hear the version by Israel ‘Iz’ Kamakawiwo’ole, it’ll give you tingles down your spine. The sound of a ukulele always puts people in relaxation mode so you’ll drift down your aisle! ‘Dream a Little Dream of Me’. Another golden oldie song recorded by many artists, but the flawless version by Mama Cass of The Mamas and the Papas’ will go nicely with your outdoor theme as she sings (and even does her own whistling) about ‘birds singing in the sycamore trees’. Told you we liked birds. ‘Everyday’. If you’re looking for more upbeat songs, this oldie by Buddy Holly will have you bopping down the aisle, put everyone in a happy light-hearted mood and should ensure your mascara stays in place. The lyrics ‘Love like yours will surely come my way’ are perfect walking-down-the-aisle material. We do advise using waterproof mascara at all times though just in case! ‘Sugar Sugar’ by The Archies is another more upbeat song that could even have all the bees buzzing along in tune with its sweet lyrics such as ‘I just can’t believe the loveliness of loving you’. ‘At Last’. Etta James covered this song in 1960 and made it to the Grammy Hall of Fame in 1999. We hope that during your special outdoor ceremony, the “The skies above are blue” just like the song says and if you happen to be in a botanical garden or park you can really connect with the “My heart was wrapped up in clover” lyrics! Just imagine if while waiting for you to arrive, a guest found a 4 leaf clover!? You could keep it forever – just get one of your reliable bridesmaids to remember to keep it safe and dry it out. So romantic! We really hope you like these songs, but if they’re not your cup of tea and you were after more alternative songs for your walk down the aisle, here’s a list of 13 alternative songs that may become one of your top wedding songs! Enjoy another interesting article: Is finger food fashionable for wedding receptions?